Amos Decker remembers everything. He cannot forget. After a traumatic brain injury on the football field, his mind changed and he developed a literally photographic memory. This is a terrific help when it comes to solving crimes for the FBI, but far from helpful when dealing with his own memories. Decker found his wife and daughter murdered. For most of us, memories dim with time. Most of us don’t have perfect recall. Decker’s memories are as fresh as if they happened yesterday. For him, murder is always personal. David Baldacci has created a special detective in his series of “Memory Man” books. (Memory Man, 2015; The Last Mile, 2016; The Fix, 2017; The Fallen, 2018.) Amos Decker has a perfect memory. He also has synesthesia, which means his mind associates colors and/or smells with certain things, i.e. whenever there is a dead body he sees the color blue. With these changes in the way information is processed came changes in the way he processes emotions. He has trouble with empathy and often does not weigh the emotional impact of his words or actions. When he is on vacation with his FBI partner visiting her sister’s family, Amos spots something strange in a neighboring house. Running over to investigate, he sees a fire. Breaking in to stop the fire, he finds two bodies, one dressed in a police uniform. He soon learns these are the fifth and sixth murders in this small town within a very few weeks. Amos and his partner offer their services to the local police; serial killers are their FBI area of expertise, while murder is not typically common in small-town Pennsylvania. What they don’t realize is that murder is not the only criminal act in this town. One character tells Amos, “Nothing is illegal in Baronville.” That may have been true before, but that is not acceptable to the Memory Man. 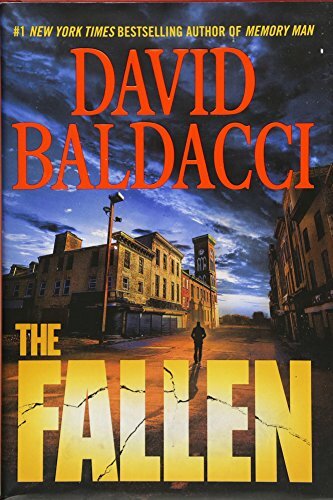 Baldacci is a bestselling author for good reason. His characters are solid and memorable. His dialog is brisk. His descriptions of small town life in Rust Belt Pennsylvania ring true to my observations of the area. He devotes several pages to the scourge of the opioid epidemic, describing it and its impact in chilling detail. All this while keeping a wide-ranging plot moving forward and never losing sight of the core humanity of his characters. Amos Decker is a complex protagonist who has come to terms with his new normal, a normal that is far different from the “normal” that most people have. But in this book, he is confronted with some limitations to his memory. That forces him to look hard at who he is–is he a walking, breathing memory machine or is he a man with a prodigious memory? He also has to deal with a six-year old girl who reminds him of his murdered daughter, and who is confronting a terrible loss herself. Can he find the compassion and empathy within himself to be more than a detective? Can he remember more than just the facts and remember how to care? Those challenges guide the character’s growth. I loved the Memory Man character going into this fourth book of the series. This book makes me love him even more. 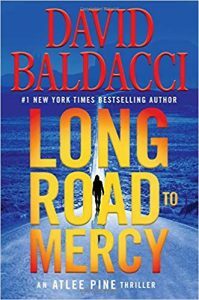 Baldacci has a special talent for creating powerful characters that do not remain static. The Fallen may be his best work in a long and distinguished career.